A wide band with diagonal lines of alternating beige and blue wave pattern fills most of the textile. There are rolled hems along three sides. 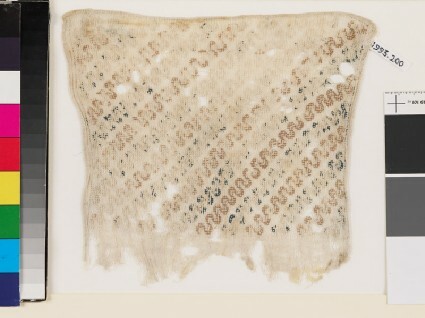 The fragment probably was the end of a sash.